There is probably nothing more picturesque in Northern Minnesota than a day on the water of Bass Lake. Mother Nature has created a landscape that only she could have painted. Close your eyes, if only a moment, and picture yourself surrounded by all of this beauty, with the fishing nothing short of phenomenal. Walleye, Northern, Small Mouth Bass! The cool temperatures put all species of fish in the feeding mode, and it doesn’t take long to realize why Fall fishing is “as good as it gets”. Whether your favorite species are walleye, northern pike, largemouth bass, jumbo perch, or panfish, a trip to Wildwood Resort and Bass Lake will provide fall fishing experiences that create special memories. What Bait Is Best In the Fall? Each fall, Bass Lake offers terrific fishing for huge largemouth bass and big bluegills. Bass are most often located in the rushes and strike readily on top-water lures and spinnerbaits. Large Bluegills are often found around cabbage beds associated with deep water. Try a tiny jig with one or two wax worms or a half of night crawler on a plain hook fished in the same areas. Both can produce those bull bluegills that Bass Lake is known for. Walleyes can be taken by various methods, but for many anglers, a Northland Fireball Jig and minnow is tough to beat. 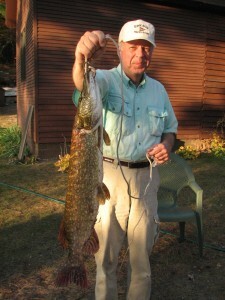 Fished in the shallow areas, many a walleye has come to the boat with this presentation. The extra bonus of fall fishing is that there are times in the Fall that nearly every species of fish can be taken in the same areas on Bass Lake. On some of the warm sunny fall days, try a night crawler on a slip sinker rig for the more finicky walleyes. If trolling Shad Raps is your favorite, then tie one on and hold on, because some of the biggest walleyes of the year are caught this way. With miles and miles of shoreline structure to be trolled, it’s never a dull moment and many of the guests at Wildwood Resort have come in with stories of huge bass and northern pike following their baits back to the boat when retrieved. 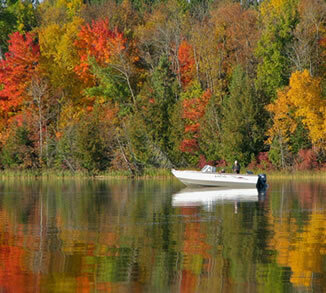 Isn’t it time to book YOUR Fall Fishing Vacation at Wildwood Resort? 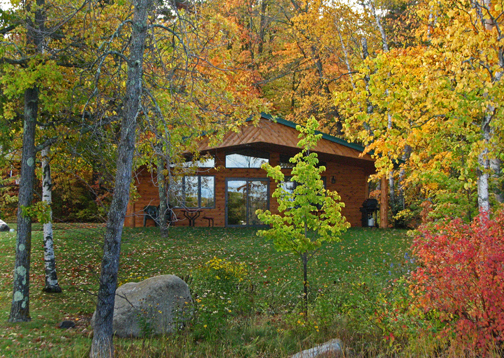 Book your fall fishing vacation today! Call us today at 1-888-328-5858.